Home / News / Governor ALFRED MUTUA almost collapses at Machakos Level 5 Hospital - See what he found out that almost gave him a heart attack? Governor ALFRED MUTUA almost collapses at Machakos Level 5 Hospital - See what he found out that almost gave him a heart attack? 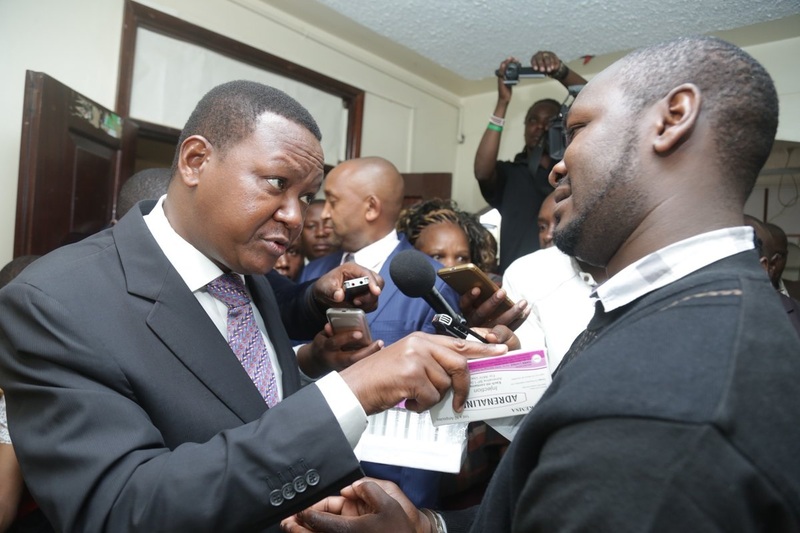 Friday February 8, 2019 - Machakos Governor, Alfred Mutua, has unearthed a drug theft syndicate at the Machakos Level 5 Hospital that saw four people arrested. Mutua was accompanied by police officers on a raid targeting private pharmacies and clinics that are using medicines and lab reagents from Machakos public hospitals. “I was shocked to see medicines and equipment clearly labelled as Government property in private clinics,” Mutua stated. The raid also unearthed unqualified doctors that were treating patients in clinics having been referred by health practitioners from Government hospitals. “I have directed that no patient being treated in any of the Machakos hospitals is referred to an outside lab, x-ray centre or pharmacy,” he cited. He narrated how clinic operators locked patients in their facilities and ran away on seeing them because of the heinous crimes they were undertaking. “I was heartbroken to find some innocent patients in the clinics instead of receiving free and total healthcare in Government hospitals,” he added.